In response to the last major U.S. financial crisis in 2008, the Federal Reserve slashed rates to below 1%, which is where they’ve stayed ever since. Only once since then has the Fed raised rates, a small 0.25% increase in 2015. Analysts speculated throughout 2016 that the Fed would raise rates again. But ultimately, concerns about pressuring the fragile U.S. economy with another hike kept the Fed from acting. The Fed knows it can’t keep artificially suppressing rates forever. Continuing to coddle the American economy won’t make its problems go away. Quite the opposite, it will only make them more damaging when judgement day finally comes. 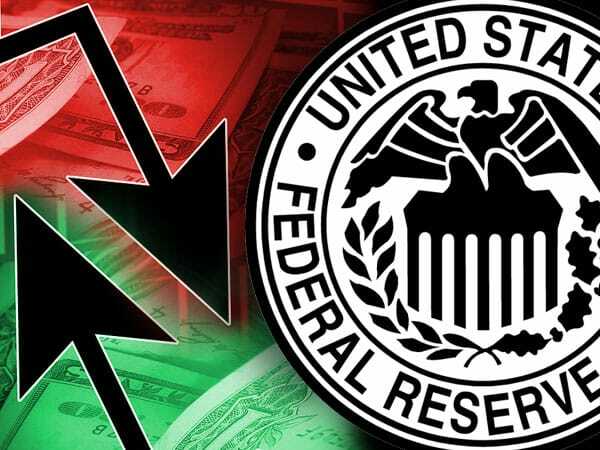 That’s why – as time runs out and the market is currently rallying – the Fed is widely expected to finally raise rates again next week at its last meeting of 2016, which runs from December 13 to 14. Analyst consensus indicates the hike is practically guaranteed, and mainstream reports claim that confidence will keep markets from reacting negatively. But historic trends in economic data show the recoil could be worse than expected. Let’s look at repercussions of previous rate hikes, what the next one could do, and what you should know to be prepared. Is the Dollar on Borrowed Time? The results of this year’s presidential election, which caught many in the mainstream off guard, along with a flurry of other contributing factors, sparked a rally in the dollar that has yet to slow down. But the trend could be short lived, especially if the Fed hikes rates as anticipated. The dollar may not respond favorably to an interest rate hike by the Fed, contrary to expectations by many people on Wall Street, analyst Jim Paulsen told CNBC on Monday. A reversal on the dollar’s rally could present several problems for Americans. Most notably, it would force you to pay more for imported goods, which make up a majority of the items they purchase on a day-to-day basis. While past events can’t be expected to predict future results with 100% accuracy, they can certainly give us valuable insight. For example, anybody with money in the stock market must see what happened to U.S. stocks before and after the last Fed rate hike in 2015. Leading up to the 2015 hike, things looked good and confidence was high, much the same way as it is now. But in the months after, a painful downward trend took hold. Conditions may be different now than they were in 2015, but there’s no reason to believe the risks aren’t the same. Anyone holding shares in traditional equities may want to take a close look at what has happened in the past. Despite having negative effects on the dollar, stocks, and other areas of the economy, rate hikes can actually put a few select assets at a distinct advantage. According to historical data tracking businesses across the U.S. economy, the IT, utilities, and energy sectors tend to do particularly well in the wake of a rate hike. But all three of those sectors are prone to extreme volatility. As a “real asset” like land or real estate, gold has inherent, finite value that can’t be stripped away, regardless of what the market is doing. The fact that its price surged after the last rate hike and tends to increase during times of economic distress is just an added benefit for anyone who holds it. If you’re wary of the rate hike that we’ll possibly see next week, now is the time to strongly consider moving an appropriate allocation of your savings into gold.